Consumer brands spent the early years of the social boom using campaigns to collect likes, create conversation, and distribute coupons. Meanwhile, B2B marketers sat on the sidelines waiting for social campaign technology to deliver against their more sophisticated needs. In the B2B space, having people follow you is not enough. You have to go beyond likes and simple conversations. For B2B marketers, the promise of social is user data, and first generation social campaign technologies just weren’t delivering. That’s changing rapidly. Marketers are seeing a tremendous uptick in demand for B2B campaigns designed to nurture prospects, collect user interest and attribute data, and reapply that data to shorten the sales cycle. To meet these new objectives, B2B marketers are applying new approaches to social campaigns. Here are four of the more common, fresh approaches I’ve seen of late. 1. Build a continuum of social engagement. The first step to social campaigning in the B2B environment is to get by the one-and-done hump. You need to change the paradigm of thinking from single-shot B2C campaigns to a continuum of ongoing engagements. In most B2B environments, one touch is not enough. You need to continue the conversation and nurture the lead through a lengthy and complex sales cycle. That can’t happen in the span of a single 90-day campaign. Instead, plot out a series of nested engagements that span the calendar. This gives the prospect time to warm to your solution and gives you time to leverage all that user data you’re collecting. Of course, this shift in mindset requires a new kind of campaign technology. Rolling out custom campaign after custom campaign is expensive in terms of cost, time, and focus. Ongoing social engagement requires a social business tool that can be adjusted based on buyer feedback rather than custom apps for each campaign. 2. Be everywhere your buyer is. When you think of social campaigns today, don’t think about a single network like Facebook or Twitter. Your prospect is social everywhere on the Web, and your social campaigns must behave in the same way. The brand experience should be consistent and the user data synchronized across all web platforms. Let’s not forget about the elephant in the room: mobile. We all understand that people are reading emails, browsing websites, and interacting socially on their mobile devices. If you’re excluding or separating that piece from your campaign, you’re going to fail. Proper integration doesn’t just mean making the campaign mobile accessible. It has to look and feel like it belongs on mobile. Poor mobile experiences cause drop-off whether the audience is business or consumer. However, business prospects will be even more aware – and more unforgiving – when your campaign isn’t executed properly on mobile. 3. 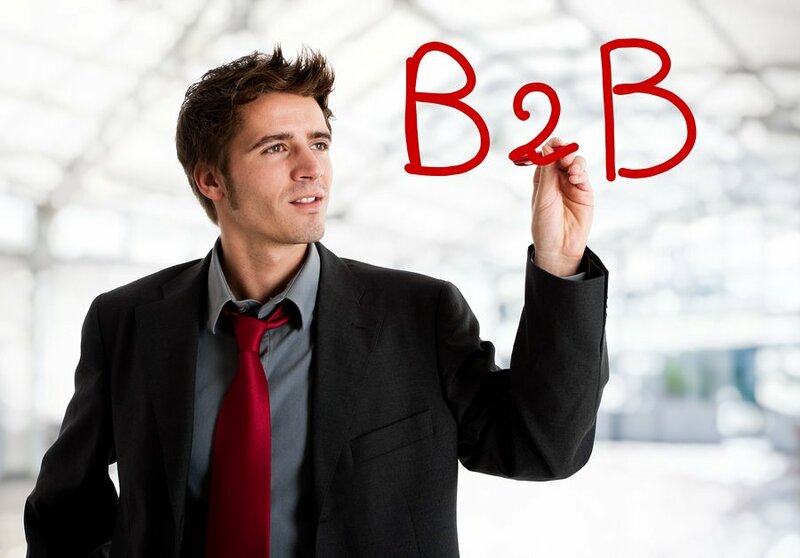 Entice B2B prospects with B2B incentive structures. What we call the “give” is the key distinction between B2C and B2B campaigns. Early B2C social campaigns were built on coupon giveaways and product deals. These types of incentives don’t work as well in B2B campaigns. The B2B environment is less immediate and less transactional. The immediacy of a coupon drives that fast buy action for a consumer product. In the B2B space, the buy action comes later. Again, we’re dealing with longer, more complex sales cycles so we use the “give” to educate the user. By granting incremental access to relevant and value-added content, you build a thought leadership position with your prospect. Meanwhile, you’re gathering valuable user data that enables you to tailor future content “gives” and update your CRM for follow-up outside the campaign. 4. Collect and apply interest and attribute data. It’s a given that B2B marketing leaders say they want to know more about their customers. But they don’t just want to understand their business interests. They want to understand their personal interests too. This is the secret weapon social campaigns can deliver on. A wealth of personal interest and attribute data is available whenever a user engages in a social campaign. And you can go deeper than what’s publicly available when you ask the right questions, offer the right incentives, and analyze your users’ interactions within your campaign. Of course, the user data you collect isn’t worth much if it’s never appended to your CRM system. A clean, data-rich CRM enables you to craft better messaging, repurpose content, and generate offers that lead to strong, enduring relationships. Social campaigns have always been a means of creating better-qualified leads. In B2B, that process requires user data and until recently the technology simply couldn’t deliver. With today’s social business tools, B2B marketers can hone their understanding of user interests and attributes and use that data to reshape their digital marketing efforts toward longer sales cycles, consultative relationships, and complex transactions. Finally, social campaigns have grown up and are relevant for B2B marketers. Are you using special online tools to foster new business leads? Is social media a part of your strategy? Let us know!